When it comes to finances, a lot of us struggle to keep things organized. Because of this, you might end up having to pay penalties because of overdue bills. 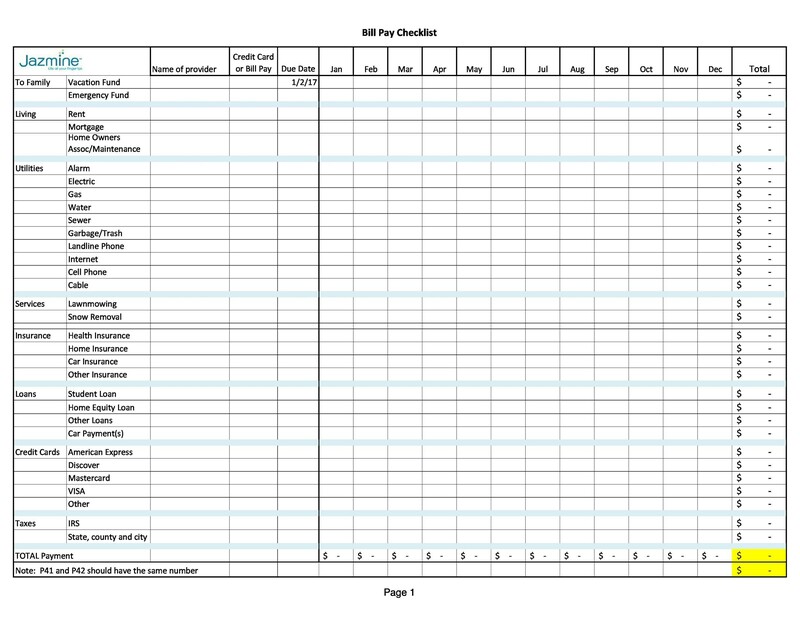 One way to solve this problem is by using a bill pay checklist or a bill calendar. 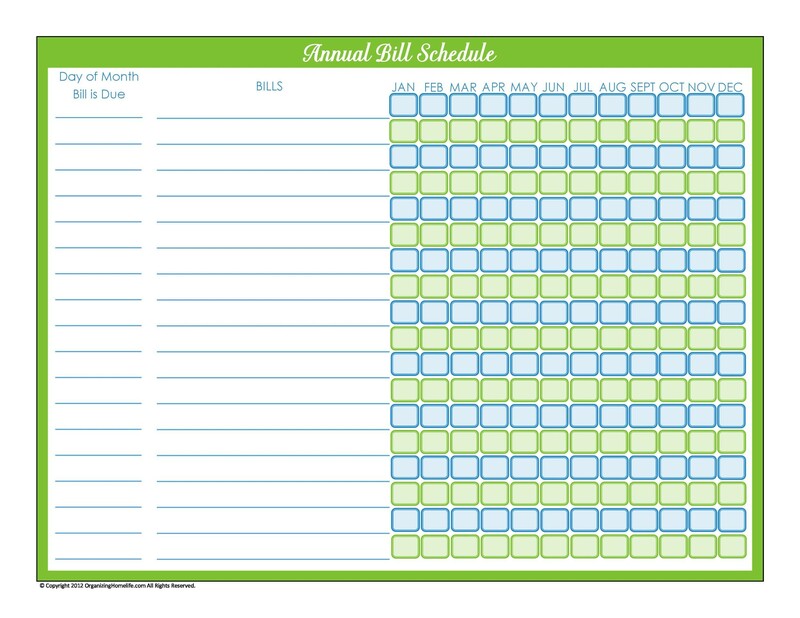 In this monthly bill template, you can write down all of your monthly bills then organize them according to the due date. 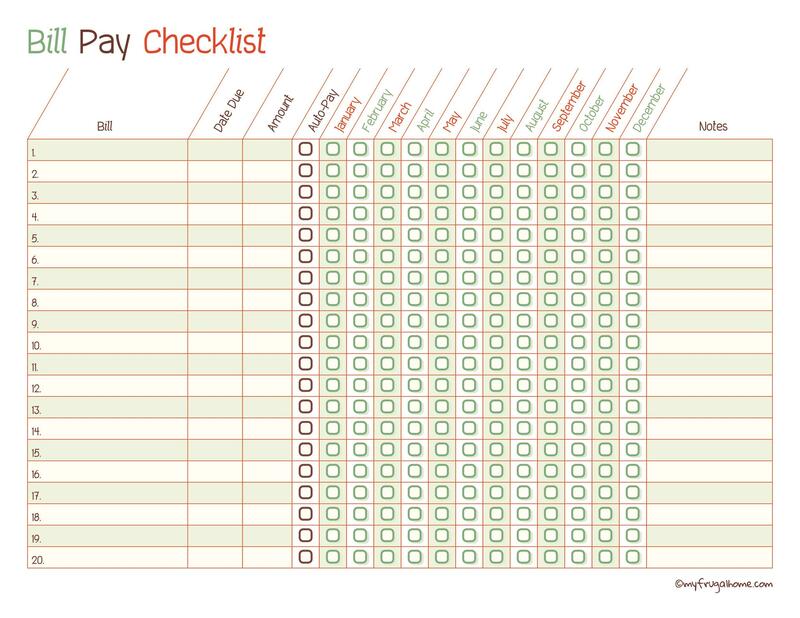 6 How to use a bill pay checklist? 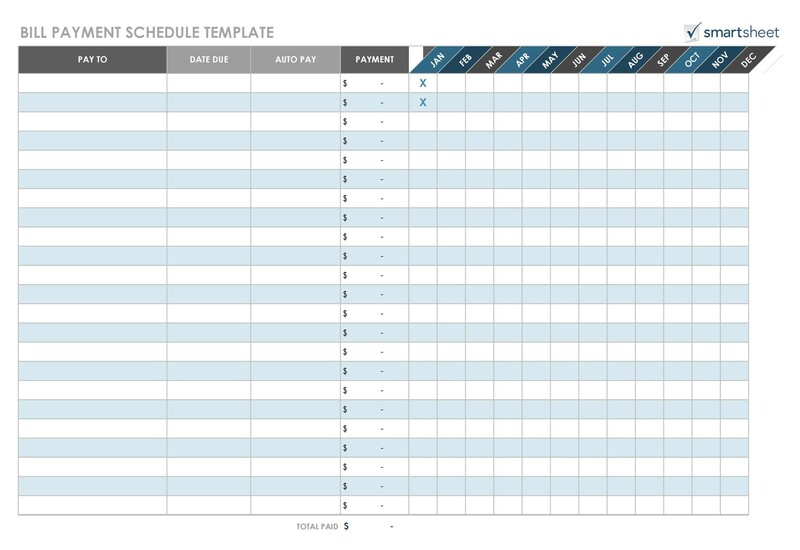 You can download this simple template and start managing your finances better. 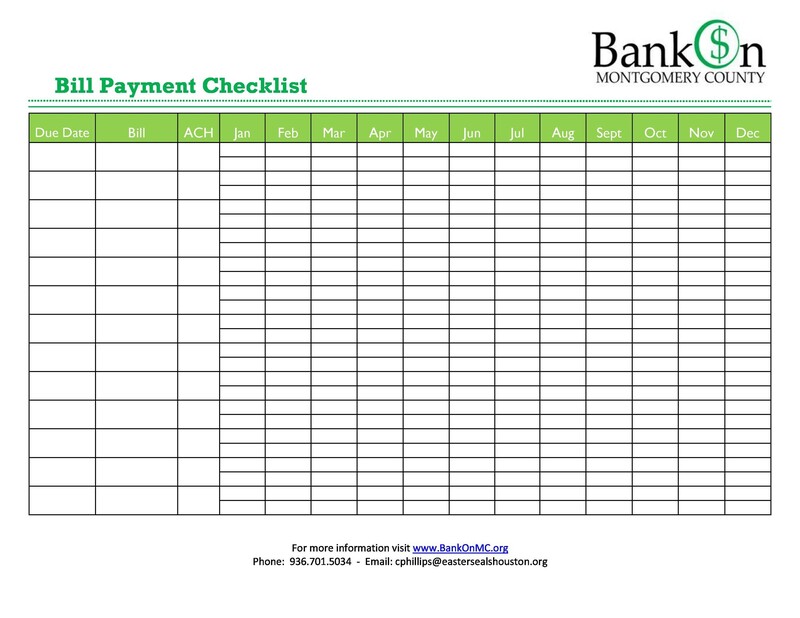 This log or checklist will make it easier for you to keep track of your bill payments each month. 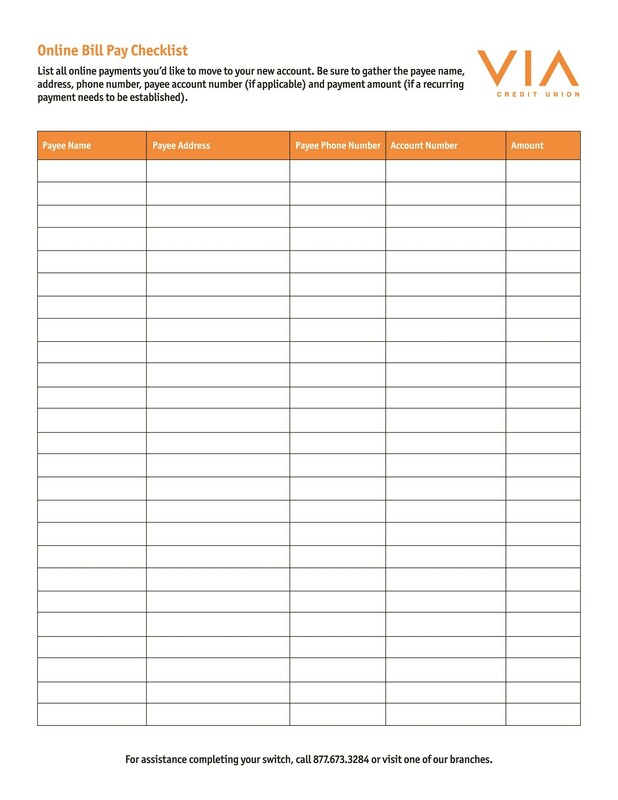 Find a good template or make one yourself, print out a few sheets, and keep it on-hand so you can check it regularly to see if it’s time to make a payment. 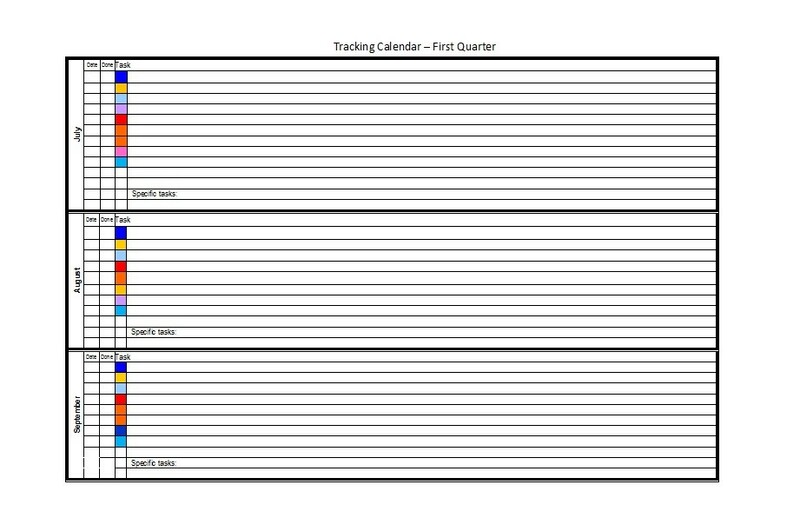 You can keep this log in your planner, in your checkbook or in other handy places. 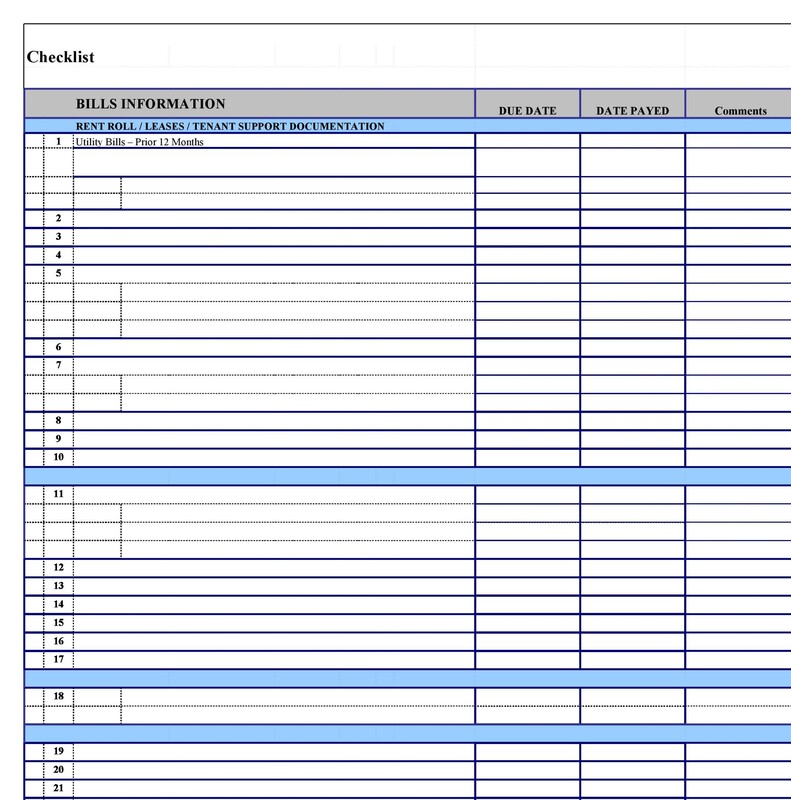 If you want to organize your entire year, you can use this type of checklist. 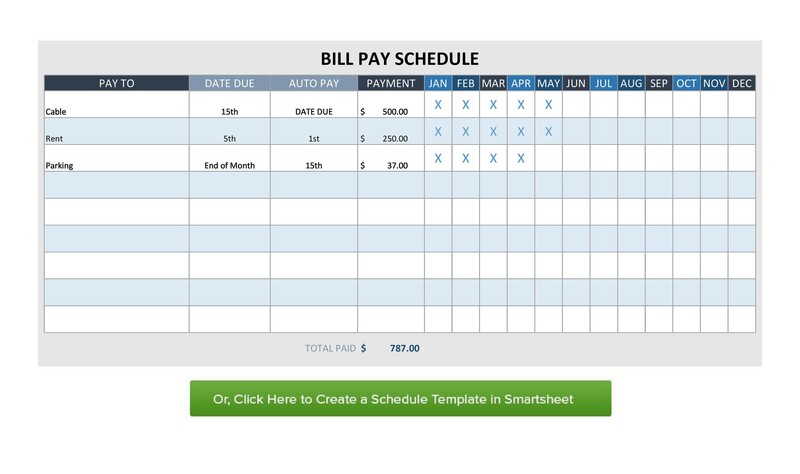 A yearly bill organizer will allow you to see all of the bills you have to pay for the next 12 months. It can also be an important component of your financial management system or binder. 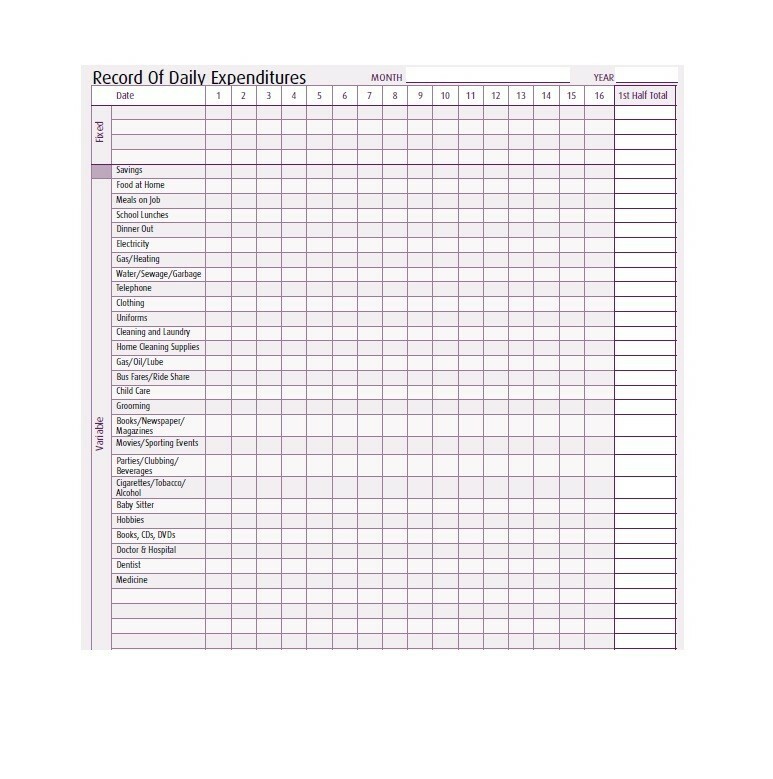 Speaking of household expenses, it’s also a good idea to keep track of all the expenses which go into the maintenance of your home. Keeping this type of checklist will provide you with a reference point for when you need to make a budget for repairs around the home in the future. 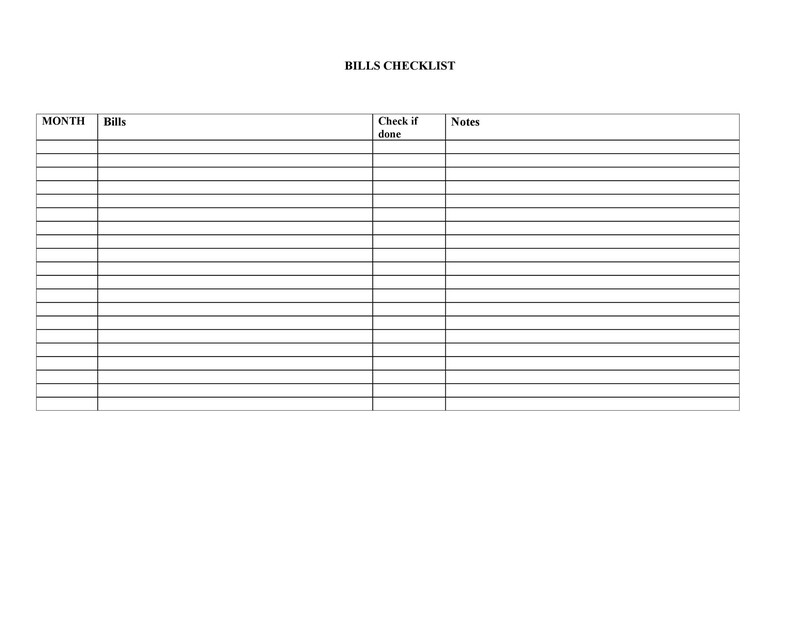 A good checklist should show you all of your upcoming bills in the order of their due date. 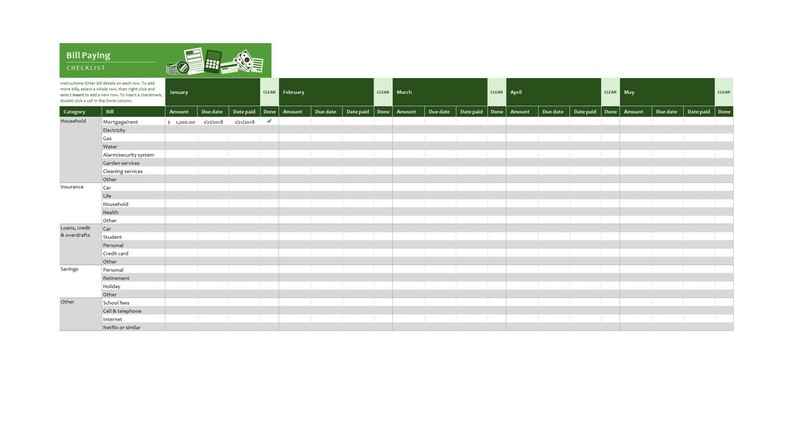 So when making your template or when inputting the information on an online template, list down your bills in this order. 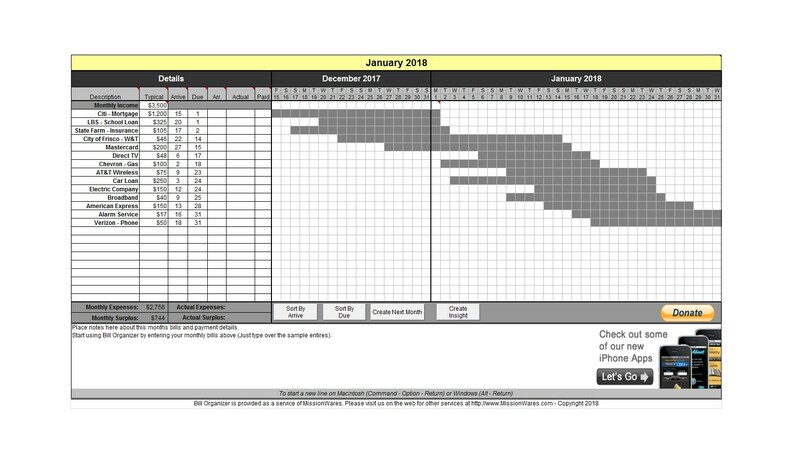 Some checklists come in the form of a calendar while others show the bills in alphabetical order. 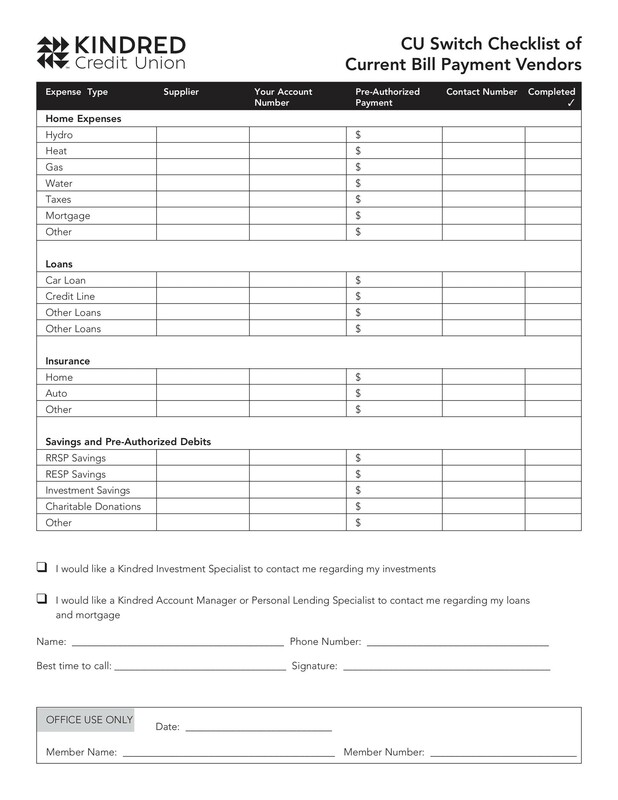 Think about the style you want and how you want to organize your financial information. It would be very useful to place the amount due for each of your bills, especially if you want to plan your budget ahead. 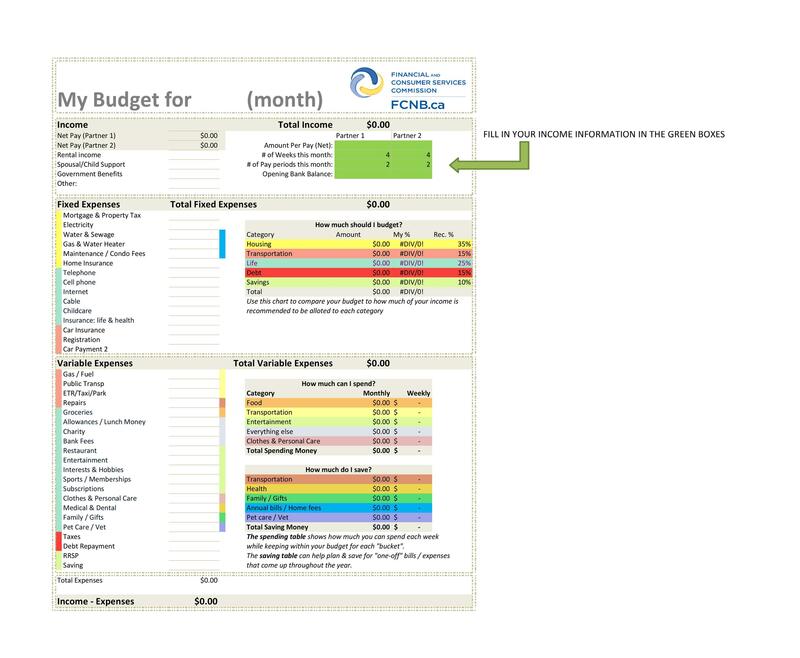 This way, you can calculate your budget every time you receive your salary and you can see how much you have left to spend. 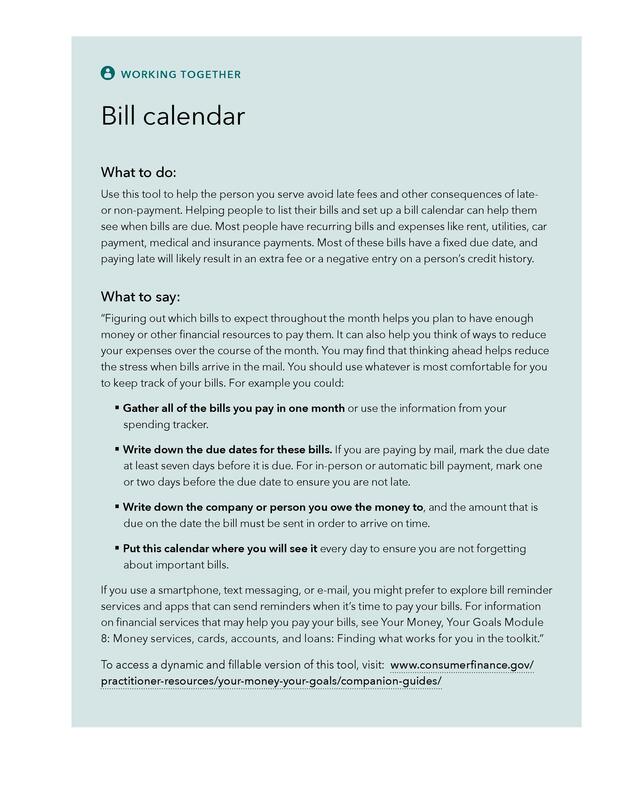 Although most bills come every month, there are some which don’t arrive regularly and these are the ones which are usually forgotten. For instance, the bills for your car’s insurance might only come two times each year and this gap makes it easy to forget. 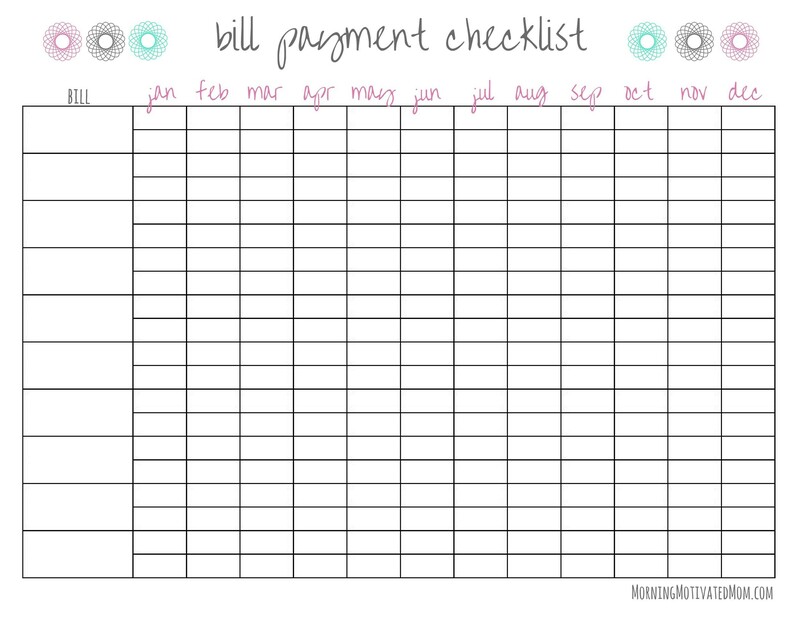 Therefore, you can print out checklists for all the months of the year so that you can include all of your bills and never miss a single payment. 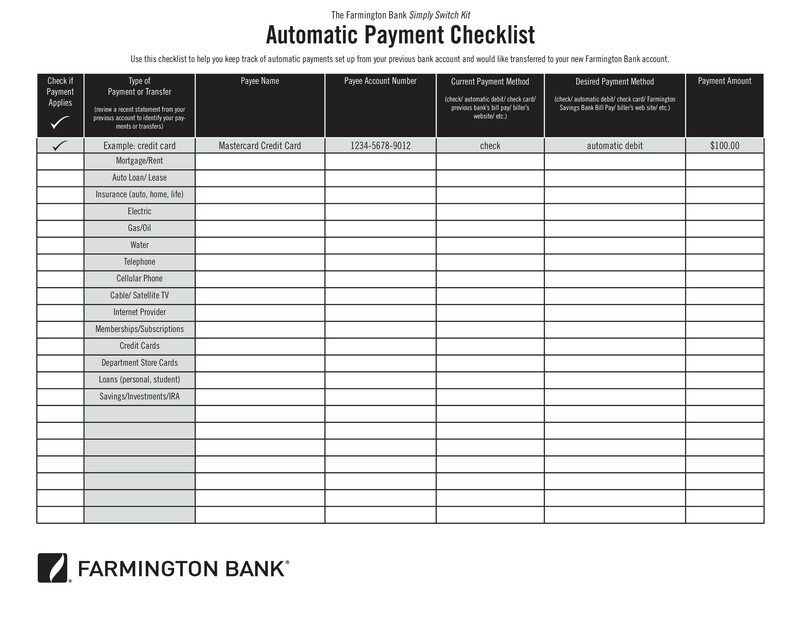 Finally, your checklist should also come with a method of recording all of the payments you’ve already made. For example, there should be a space for confirmation or reference numbers which you may need in case any problems arise with regards to your payments. Or you can simply place empty boxes next to the names of the bills and tick them after making each payment. 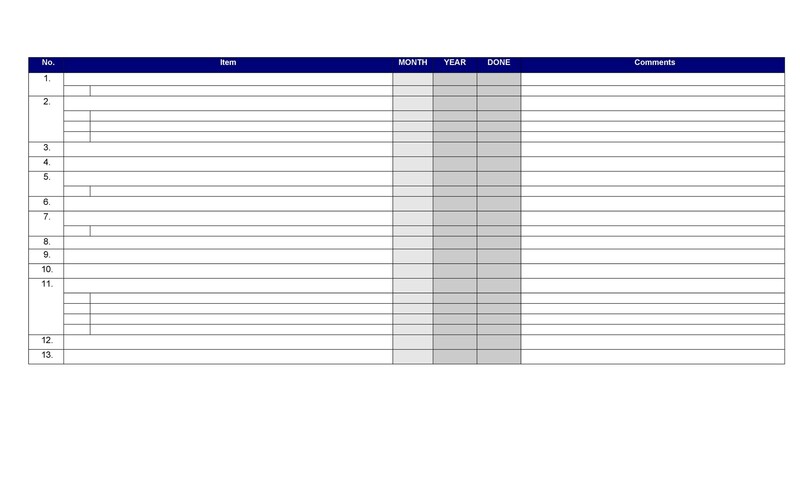 Write the name of the company where you have to pay the bill along with the due date. 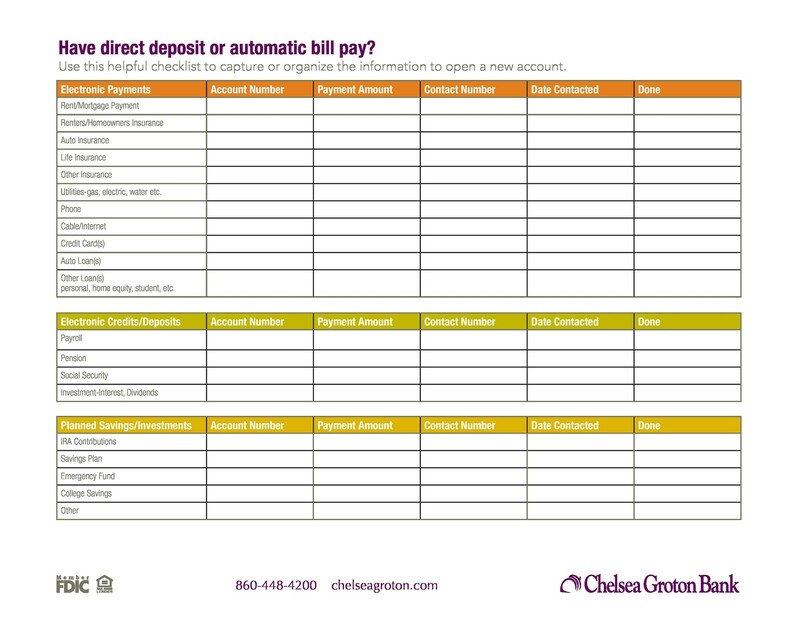 Include all of your bills, even the ones which you pay automatically through your debit or credit card. 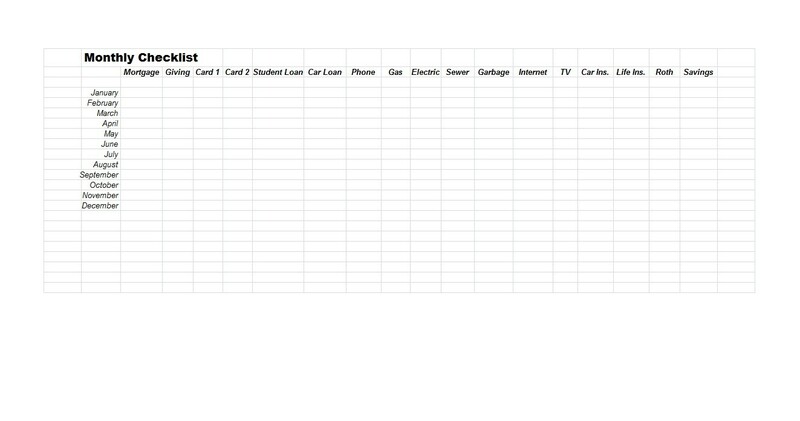 List your bills in the order of their due dates so you can see which ones are the most urgent. Also, include the bills which don’t come monthly so you don’t overlook them. 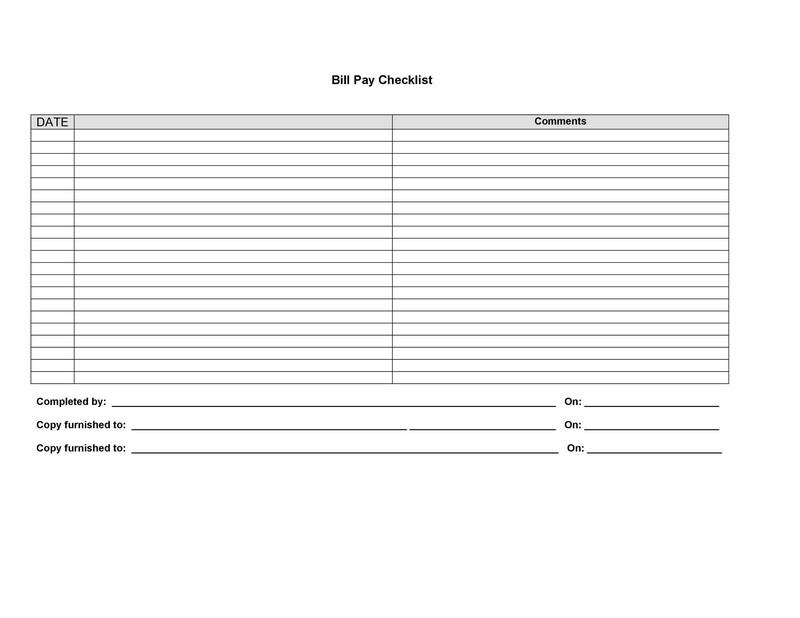 How to use a bill pay checklist? 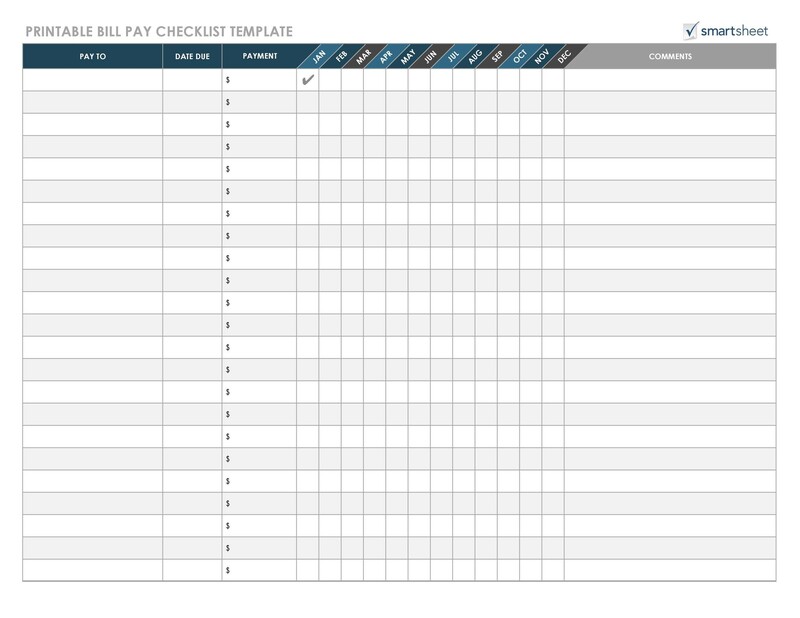 Using a bill pay checklist is relatively easy, especially when you’ve gotten used to it. 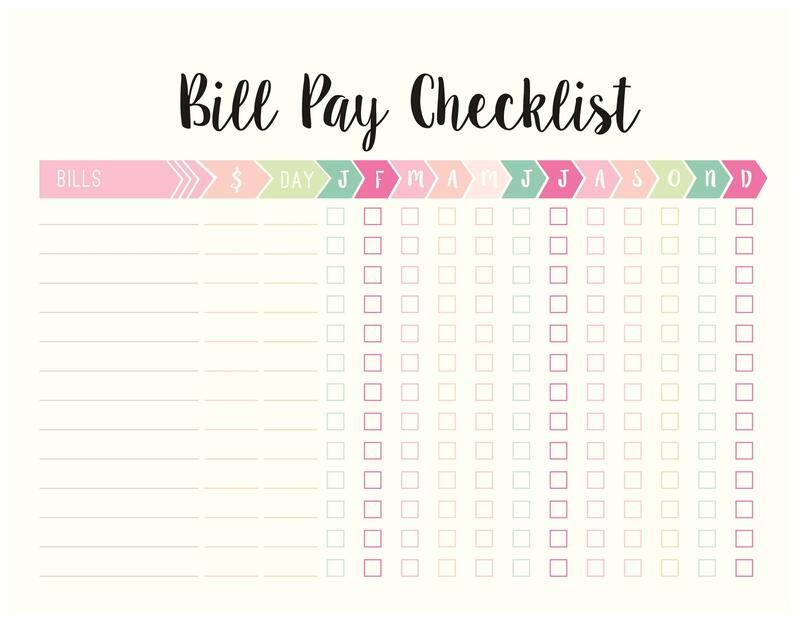 When you first start using this checklist, you need to gather all of your bills and arrange them according to their due dates. 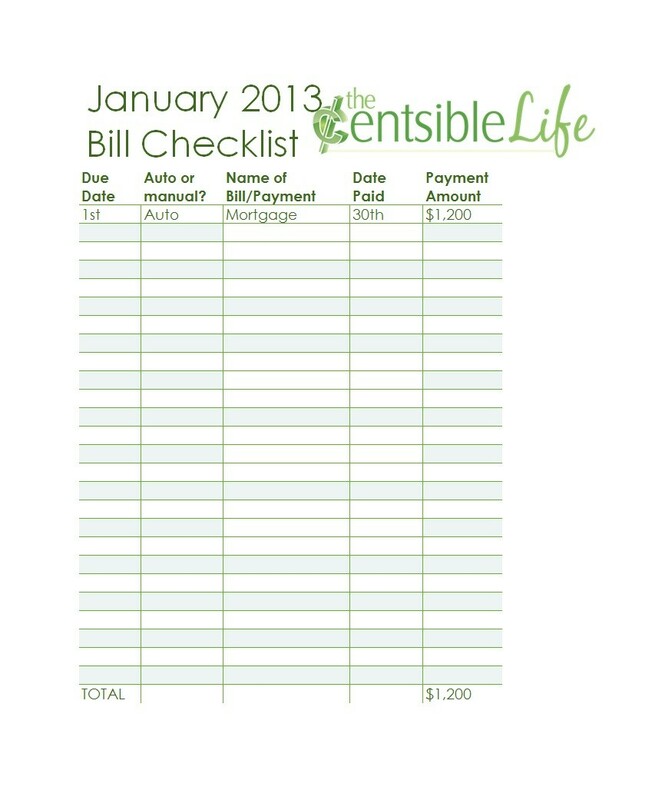 Then write down these bills on your list according to the arrangement you’ve made along with the amount of each bill. It would also be very helpful if you include the date of your paychecks so you know when to include the bills for each cutoff. As you pay the bills, tick the space next to them then make a note of the payment or reference number. Do this for all of the bills. 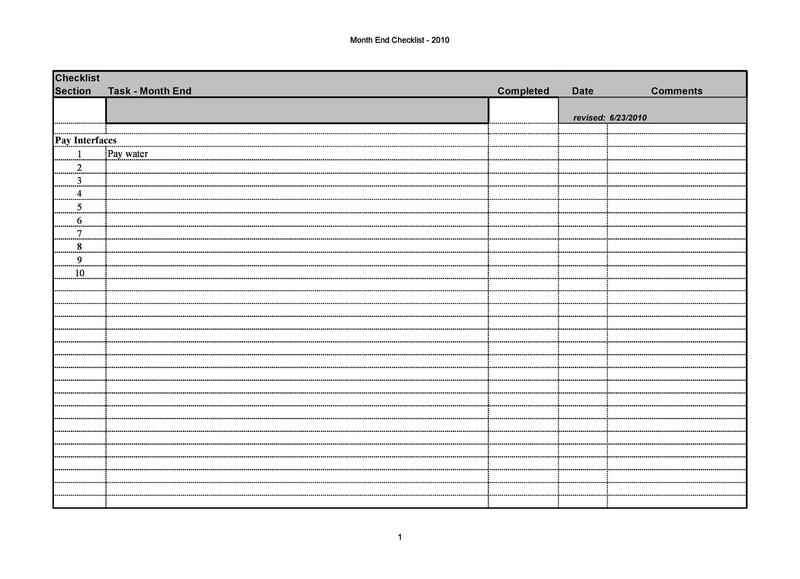 If you also want to include the bills which don’t come regularly, then you may have to print out monthly bill payment logs for all months of the year. It’s that easy! 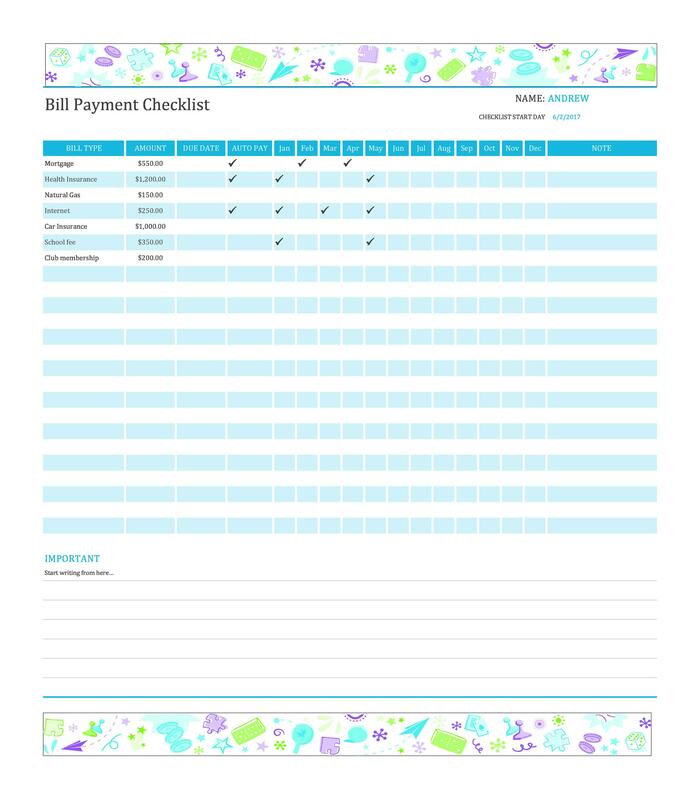 After making your payments, keep all the receipts in one place such as a binder or a clear book. 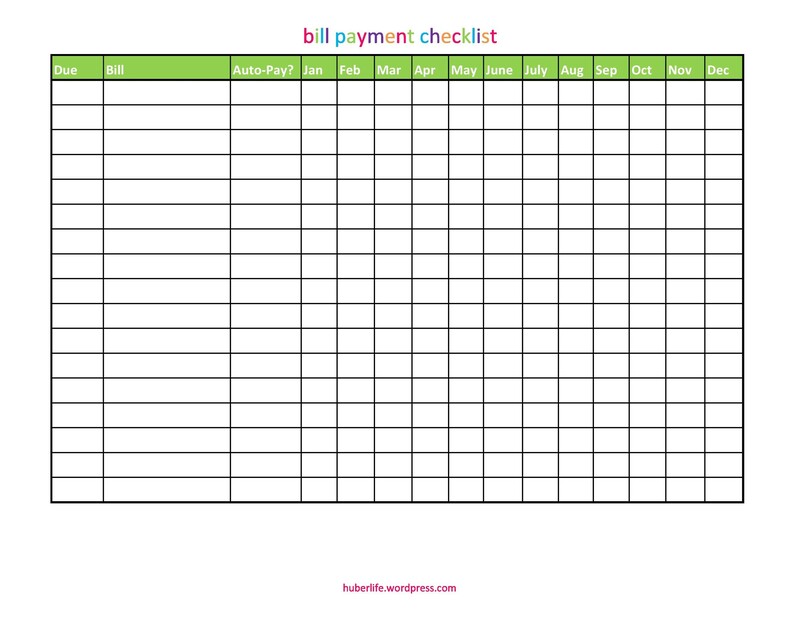 This will help you keep your payment references organized, especially if you handle personal and business payments. Come up with a budgeting and payment system that will meet your needs and your financial situation. 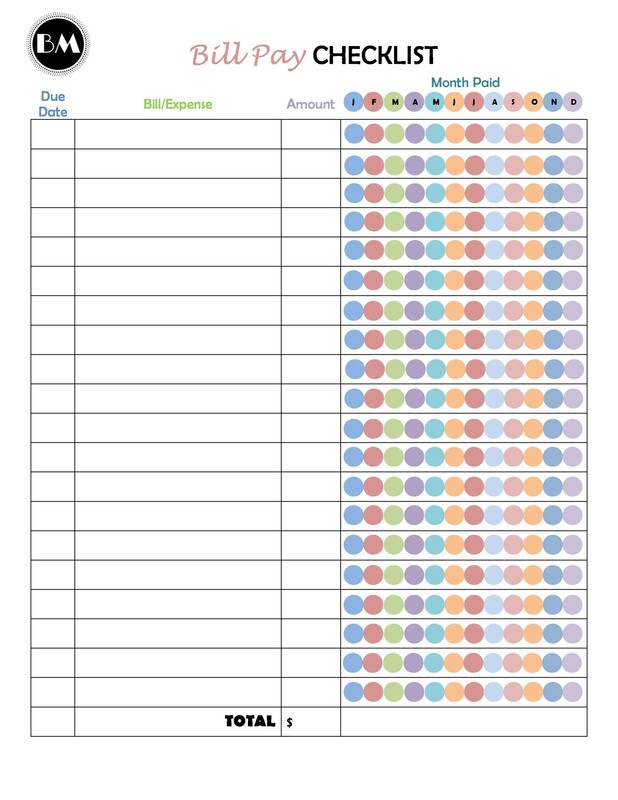 If you find a printable bill tracker online and it doesn’t work for you, try customizing it or making your own template. 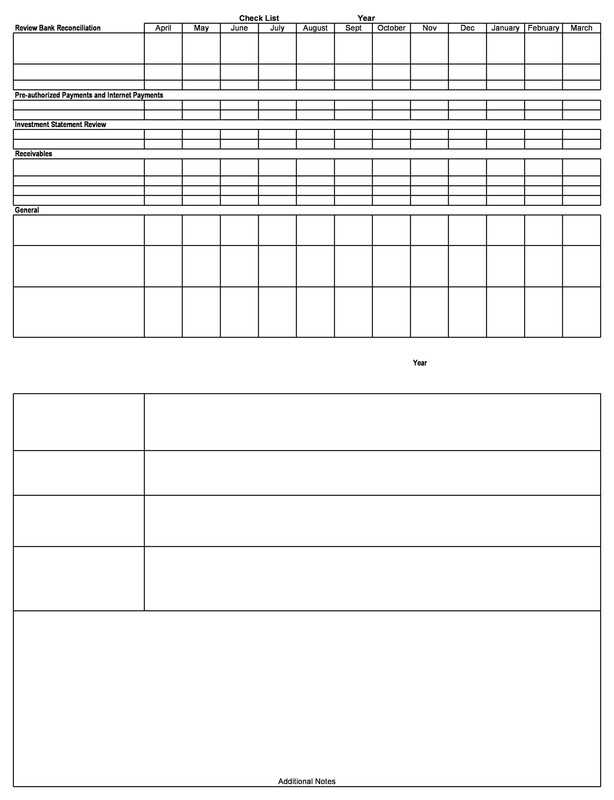 Create a binder which will serve as your financial system. In it, you can keep your checklists, your bills, a record of all your accounts, your payment receipts, and more. If you have more than just your household bills to take care of, you can expand your financial systems and make a whole financial cabinet at home. For instance, you can purchase a cabinet with several drawers then label each of them. In each drawer, keep a binder which contains all of the important financial documents. To keep everything safe, make copies of the most important documents and keep them in a separate location in case of a fire or any other kind of emergency. Cabinets and binders aren’t just useful for keeping your bills organized. You can also use such systems for other filing systems such as keeping your medical bills, personal documents, and others. 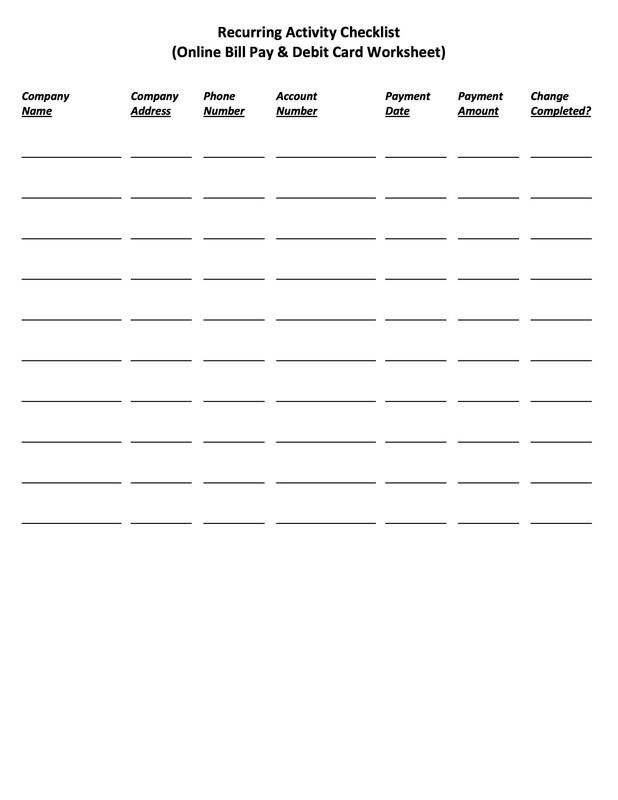 There’s even something called an envelope budgeting system that you may want to try out. For this, you keep some cash in envelopes and these envelopes would only before expenses. Once you spend all of the money in the enveloped, then that’s it! You shouldn’t spend any more until you receive your next paycheck and you get to replenish those envelopes. Some people also find bullet journals to be very useful. 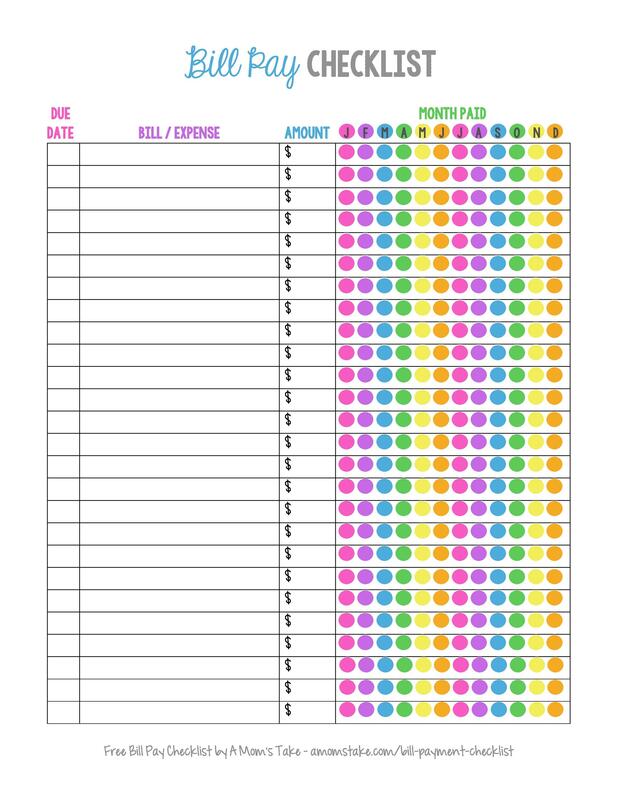 These journals could also be an excellent way to keep track of all your finances and you can use them the same way as you would use a monthly bill organizer.